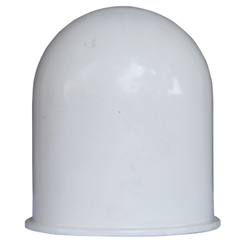 Radome for weather Radar S-band are offered in the most leading market prices. All of Custom Weather’s products can be delivered in a standardized output in WML formats using JSP (Java Servlet Page) technology. The output is compatible with all Openwave (Phone.com) wireless gateways. In many areas climate change will affect the prevailing pattern of precipitation. Extreme rain events will become more frequent and the precipitation will intensify. This will increase the pressure on water collection systems and wastewater treatment plants. SGS provides X, C and S-Band Doppler Weather Radar for Server Storm warning, Aviation, Hydrology Flash flood warning and Land slide warning and application Latest state of Art radars are provided by our technology partner. SGS offers turnkey solution including training, installation and long term maintenance of the system. M/A-COM Tech offers a comprehensive portfolio of 4-Bit and 6-Bit phase shifters. Each of these devices operates with either serial or parallel control inputs. These parts can be used for either Aerospace and Defense or Commercial applications.